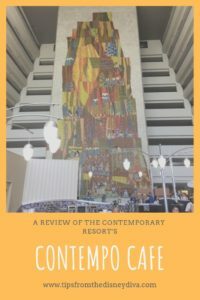 Want to take a break from the hustle and bustle of the Magic Kingdom and check out one of the fabulous Disney deluxe resorts at the same time? 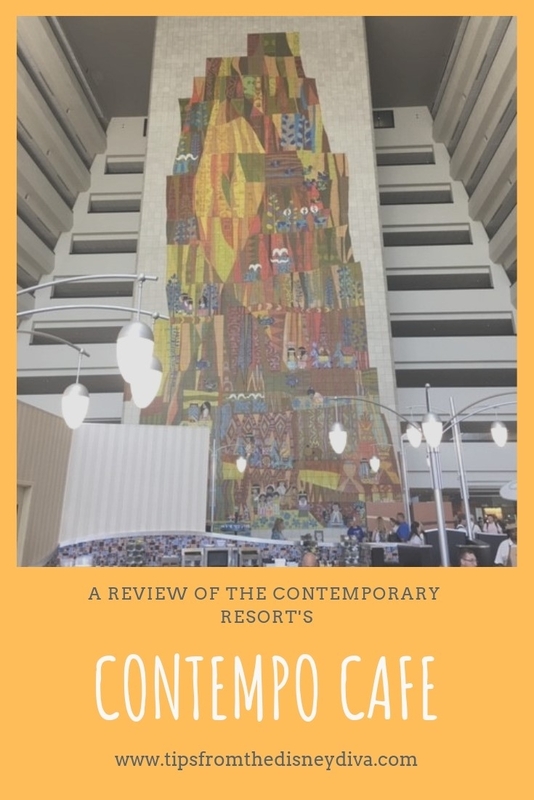 Then consider having lunch at the Contempo Café in the Contemporary Resort, where you can dine with a view of the monorail and the famous Mary Blair murals that adorn the Grand Canyon Concourse area of this hotel. On a recent visit to the park, we decided to try somewhere new for lunch. So, we exited the Magic Kingdom, took a left out of the park, to the left of where all the resort buses are, and walked a very short distance to the entrance of the Contemporary. Yes, you can also take the monorail, but it is literally just a few steps to get there. According to Google Maps, it’s about half a mile, and it took us around 10 minutes max. The Contempo Café is located in an open atrium-like area, right next to Chef Mickey’s restaurant. 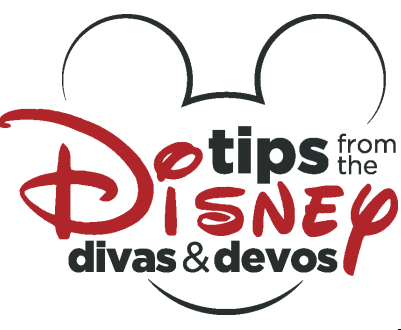 With the super high ceiling, monorails zooming through, and Chef Mickey’s shenanigans going on right next door, don’t expect a quiet, romantic ambiance. However, if you want a way above average counter service restaurant with indoor seating and a lively atmosphere, then this is the place for you. 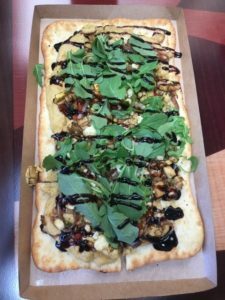 On the day that we went, three of us had (different) flatbreads, which are a perennial staple of this counter service restaurant, although they do rotate out flavors. 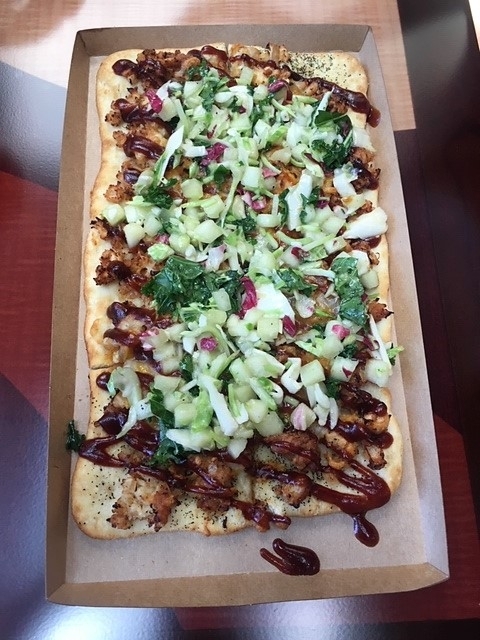 My husband had the Barbecue Chicken Flatbread ($11.49), which comes with crispy chicken, barbecue sauce, triple cheese blend, caramelized onions, and kale-apple slaw. My older daughter had the Meat Lovers Flatbread ($11.49) with Italian sausage, pepperoni, and smoked bacon topped with mozzarella. 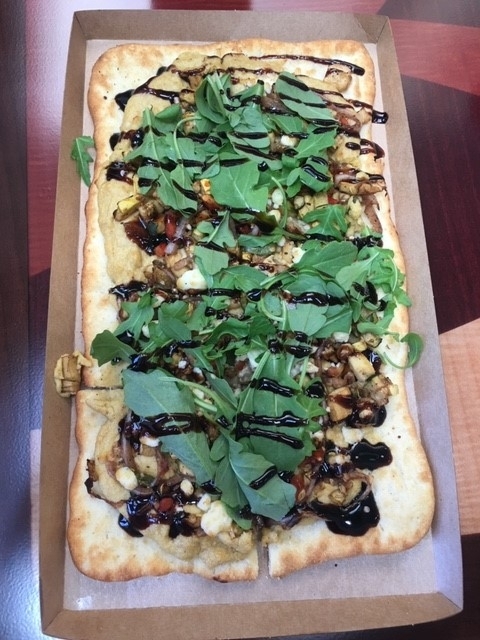 And my younger daughter, the vegetarian, had the Vegetarian Flatbread ($11.49), which was hummus, balsamic roasted vegetables, arugula, and feta cheese. It sounded strange, but was really tasty. I had the Grilled Salmon Rice Bowl ($12.49): chef’s specialty rice, soy-ginger vinaigrette, and market vegetables. This appears to no longer be on the menu, but there always seems to be one or more bowl type dishes featured. All of the dishes were tasty, and way better than chicken tenders and French fries (although the café does offer hamburgers, cheese burgers, and chicken nuggets). We came seeking out slightly healthier options and we found them here. The flatbreads were very filling – my daughter could not finish all of hers. 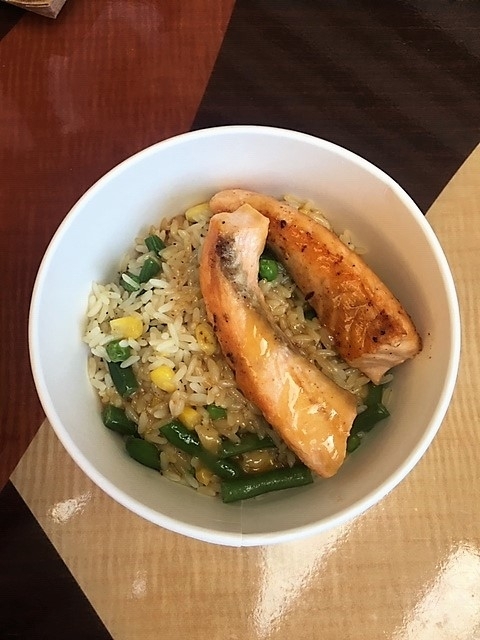 The salmon in my bowl was well-prepared and the marinade was very good. The one weak point was that the “market vegetables” were quite sparse and consisted of just a few green beans, several peas, and some corn kernels. We didn’t have any desserts here, but there were several tempting looking cupcakes on display. Because it’s a resort quick service restaurant, many of the beverages here are self-serve. 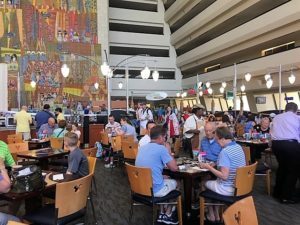 Contempo Café is a semi-hidden gem amongst counter service restaurants at Disney: it’s one of the few resort quick service places you can walk to from one of the parks (in fact it’s the only one you can easily walk to from the Magic Kingdom). 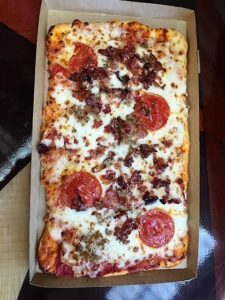 The food is tasty and not your usual theme park fare. Another bonus is that you can easily hop on a monorail and be on your way, and if you’re heading back to the park, you’ll have your bag checked at the monorail station rather than at the gates. If you choose to walk, you’ll get your bag checked along the path to the Magic Kingdom.